Donny Osmond Home Heritage Series shelves showcases renewed life, distinction and durability. A story uniquely their own, they're made with salvaged wood reclaimed from structures aged a century old. Naturally weathered, their beauty is unmistakably timeless. Handmade, each piece retains the natural knots, splits and nail holes from the original wood surface. 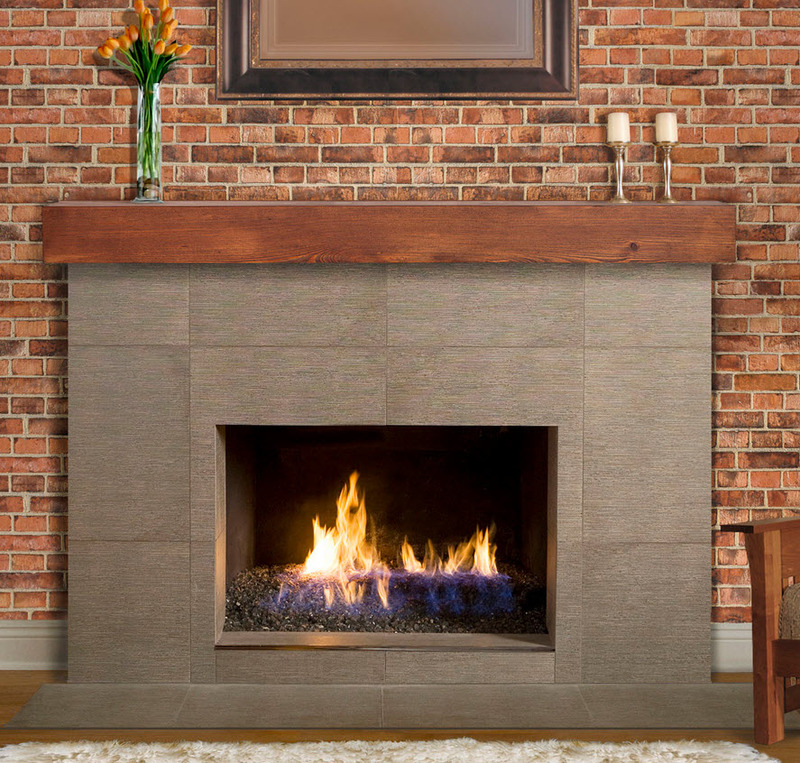 Donny Osmond Home Heritage Series shelves will give class and grace, not only over the hearth, but at any focal point in your home where a touch of elegance is needed -- making the best complement to a bathroom, bedroom and kitchen. Each shelf is has the ease of installation due to it's hollowness back, and with or without the optional solid wood corbels, it may be hung. Corbels are not included (sold separately). Instructions are easy and simple, included with each piece. Available in three lengths: 48, 60, and 72 inches* in unfinished Heart Pine or Oak, or in three hand-rubbed and hand-applied finish colors: Driftwood on Oak, Wheat on Oak and Autumn on Heart Pine. The finishes are VOC-free and all natural. The unfinished shelves are ready for stain or paint to suit any decor. Because the complete uniqueness of each shelf, families will be sure to enjoy the attractive handcrafted piece that is theirs alone?a truly natural masterpiece. Enhance the vibrance of your home with a Donny Osmond Home Heritage Series shelf. Using reclaimed wood benefits the environment, and can help save existing trees. Reclaimed lumber is also higher quality in general than new lumber. It is highly desired for its history and character. 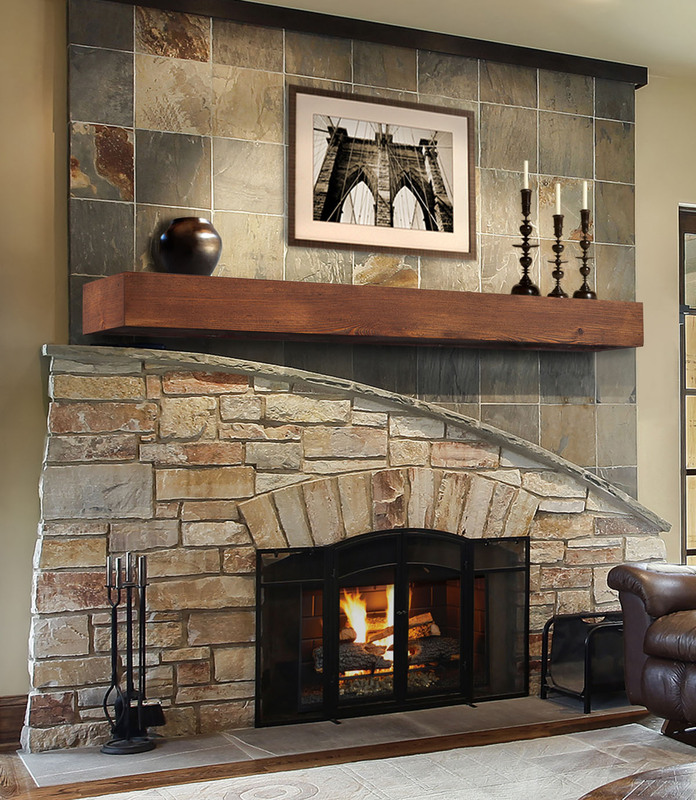 Reclaimed lumber provides a look that is simply unmatched by new lumber. Other characteristics include beautiful color, stability, durability, hardness, texture, and fragrance. Heart wood is the dense, dark wood in the center of a tree. It is much dryer and more stable than the outer rings or "sap wood". The only reliable source for the richly colored, dense "heart pine" is from factories and mills built during the industrial Revolution. The Donny Osmond Home Heritage Series Heart Pine Autumn Finish shelf is reclaimed from these structures. Barns constructed up through the early part of the 19th century often contained oak beams. Hand hewn antique oak beams are now used by architects, designers, and furniture makers for their vintage yet sophisticated look. The Donny Osmond Home Heritage Series Oak Driftwood finish and Oak Wheat finish shelves are reclaimed from antique barn wood. The finish reacts to the natural tannins in the wood. In reclaimed wood you will see both sap wood and heartwood together. Sap wood is the newer wood just beneath the bark in tree trunks and is lighter than the heartwood, which is the older central wood of the tree. While the heartwood is rich with tannins, the sap wood is not, so one section may receive stain differently than another. These are all natural characteristics of the wood and make each piece unique. Donny Osmond Home Heritage Series shelves offer renewed life, durability, and distinction. A story all their own, they're made with reclaimed wood salvaged from century-old structures. Naturally weathered, the timeless beauty of this reclaimed wood is unmistakable. Each piece is handmade, retaining the natural splits, knots, and nail holes from the original wood surface. Available in three lengths: 48, 60, and 72 inches* in unfinished Oak or Heart Pine, or in three hand-applied and hand-rubbed finish colors: Wheat on Oak, Driftwood on Oak, and Autumn on Heart Pine. The finishes are all natural and VOC-free. The unfinished shelves are ready for paint or stain to suit any decor. The Heritage Heart Pine Mantel Shelf 48" 60" 72"
Top Shelf Depth: 9" 9" 9"
Height of Each Corbel: 5.5" 5.5" 5.5"
Overall Height with Corbel: 10.5" 10.5" 10.5"